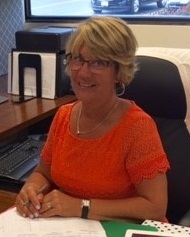 Mary Furbush is the Executive Director at CASE. She has been with CASE for 6 years beginning as an Administrator of Itinerant Services and ESY. As a special education classroom teacher for 20 years, Mary has worked with students from 2nd grade through high school. Her passion is finding ways for students with special needs to be successful in learning. Mary holds BA in Political Science, an MA in Elementary Education and a Doctorate in Educational Leadership.